Below is a brief bio for those of you who are not familiar with my work and focuses of study. 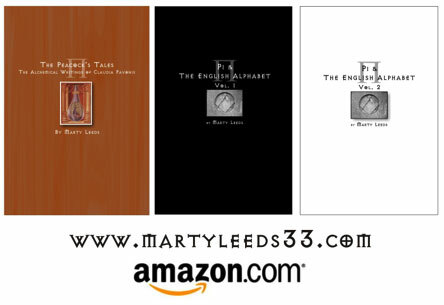 Marty Leeds is the author of three books, Pi & The English Alphabet Volume 1, Volume 2 and The Peacock’s Tales – The Alchemical Writings of Claudia Pavonis (all available on amazon.com and www.martyleeds33.com). His third book in the series, Pi & The English Alphabet Volume 3, is slated for release early 2015. He has an ongoing lecture series available for free on his site as well as on youtube (www.youtube.com/martyleeds33). He is also the host of the podcast “Marty Leeds’ Mathemagical Radio Hour” discussing everything from myth, math, spirituality, philosophy, sacred geometry, lost civilizations and the holy sciences available on www.thesyncbook.com/martyleeds. Marty has been a guest on many popular podcasts, had an article recently featured on www.grahamhancock.com, and was a featured speaker at the Free Your Mind Conference in Philadelphia in 2013. He released his first full-length solo record, Opus Medico Musica this year, available on amazon.com and itunes, and is working on his follow up record for release in 2015. In this article, we will be deconstructing the title of the Holy Bible using English Gematria. We will be going over the cipher for the English Alphabet very briefly here – for a full understudying of this numeric cryptogram, please visit www.martyleeds33.com and www.youtube.com/user/martyleeds33 or check out my available books. A thorough understanding of the English cipher, its myriad uses and applications, is highly recommended. Splitting the 26 letters of the English Alphabet in half, establishing 13 letters per side (A –M–left side & N –Z–right side) allows us to form symmetry with our alphabet. Using the motif of the 7 days of creation in Genesis (the six days of work with God resting on the seventh, or Sabbath –See Genesis 1 –2:3, Holy Bible –King James Edition) we can assign numbers to the letters of the alphabet (A1, B2, C3, D4, E5, F6, G7) By resting on the G and the 7th letter, we find a direct correlation to the Freemasonic symbol of the compasses and square. Walking back down to one from the G7, we can assign numbers to the remaining letters of the left side of our alphabet (H6, I5, J4, K3, L2, M1). To maintain our symmetry, or to create balance within our alphabet, we can apply his entire philosophy to the right side of our alphabet, N –Z. Utilizing the symbol of the seven-branched Jewish Menorah, we can highlight our non-prime numbers (a prime number being a number divisible by 1 and itself) with those non-primes being 1, 4 and 6 and 6, 4, 1, on both sides of our alphabet, with the central pillar resting on our 7 or Sabbath. Adding our non-primes together, we find the number 22 (1 + 4 + 6 + 6 + 4 + 1 = 22). 22 divided by our central pillar of 7 equals 3.142, a whole number approximation of the transcendental ratio Pi. 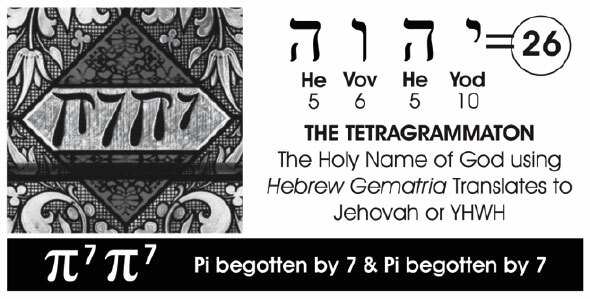 Combining both sides of our alphabet together, 22 / 7 = Pi and 22 / 7 = Pi, or Pi begotten by 7 and Pi begotten by 7, forms what is known as the Tetragrammaton, or the holy name of God, also known as Yahweh, or Jehovah. In the Hebrew Gematria, the Tetragrammaton summed to 26. Notice both Lord and God sum to 13 recognized by the 13 letters on each half of our alphabet. Combining the two names into LordGod, we find the number 26, recognized in the Hebraic Tetragrammaton as well as in the number of letters in the English Alphabet. The Holy Bible has gone through many renditions, has been translated into many different languages and has staked its place in the history of the world for the past 2,500 years. Millions of people view this most ancient of scriptures as the keys to the gates of heaven, written by the hand of God himself, while others see the Holy Bible as the heights of literary and spiritual absurdity, a morally bankrupt nescient work, and the scourge of the world. The history of the Bible is a sordid one, with many enormous question marks surrounding its origins, its authors and its true meaning. The first Holy Bible, written in Hebrew, was said to have been completed around 500 B.C. Around 250 years later appears the Septuagint, a Greek translation of the Hebrew Bible. The beginnings of what would end up being the New Testament make their way into history around circa 50 A.D. and the completion of this addition to the holy text completed in the first and second centuries. The next four to five hundred years we find appearing many different translations of the bible in languages such as the Middle Eastern Coptic and Syriac, as well as into Latin, the official language of the Holy Roman Empire. The Latin translation remained the standard for over a thousand years and the Latin alphabet, whose letters are identical to the modern English alphabet (save for V, W, and J) was the alphabet widely used across the known world. In 1382 we see of the first instance of the Holy Bible being translated into Middle English. In the mid 1400’s the invention of the printing press by Johannes Gutenberg transformed the world and allowed this religious text, before then only copied meticulously by hand, to be freely dispersed amongst the common people. Before this period copies were only read and interpreted within the churches and, more often than not, the church forbid commoners to even own copies themselves. It is not until 1611 do we find a new bible, commissioned by King James the first, “diligently compared and revised” from the original Greek, appearing in the modern English Alphabet that we know and speak today. This text, the Authorized King James Version, is the official version used by the Freemasons and is the only one that should ever be studied due to the fact that it is this version, and no other, that has maintained the mathematical foundation intended behind the text. The fifteenth, sixteenth and seventeenth centuries were unique and important times in history and may have had far-reaching and influential impacts on the evolution, creation or eventual formulation of our modern English Alphabet. The Great Vowel Shift, a major change in the pronunciation of the English language from Middle English to Modern English, occurred during this period. We also find during this time period the first printings of the Modern English dictionary occurring in 1604. An artistic, scientific and mystical rebirth was happening during these few hundred years as well that saw the rise of some of the greatest minds of the last thousand years. Scientists like Nicolaus Copernicus, Johannes Kepler, Galileo Galilei and Rene Descartes made enormous discoveries during this period, establishing such things as the formulation of the heliocentric model, the creation of analytic geometry, and the advancement of physics. Artists such as Michelangelo, Raphael, and Leonardo, were living and creating their masterworks during this era. The magical and mystical study of alchemy made resurgence during this enriching period. The likes of Albrecht Durer, Michael Maier, Johann Daniel Mylius, Anastasius Kircher, Francis Bacon, Giodarno Bruno and Henrich Nolius all contributed works dealing in science, philosophy, art, poetry and prose. Two of the most famous alchemists, John Dee and Edward Kelley, court astrologers of Elizabeth the 1st, were also living during this time and created works within the realms of symbolism, the occult and ritual magic that would influence generations to come. The sonnets, plays and poems of William Shakespeare, fairly confirmed to be not the work of but a singular man but the collected works of an underground guild of writers or writer posing under the pseudonym of a bourgeoisie, made their immortal impact on history during this era as well. Last, but certainly not least, the fifteenth, sixteenth and seventeenth centuries also brought forth and established of one of the most controversial and influential fraternal brotherhoods still alive and well and operating in our current era, Freemasonry. 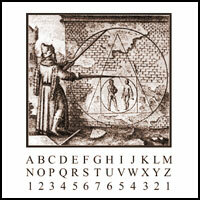 This organization, a recapitulation of the ancient Egyptian, Pythagorean, and Platonic mystery schools, by withholding, concretizing and cultivating the arcane knowledge within their temples, halls, symbols and philosophies, have allowed us to uncover and illuminate the beauty of the mathematics of our English Alphabet. With but a compass and a square, and a G nestled between these two instruments of drafting and architecture, we have revealed the corresponding septenary-system at work within our 26 letters. The most important place we found this symbol is gracing the cover of the authorized version of the King James Holy Bible. As we will come to find, the Freemasons, by prominently displaying this symbol on the cover of the Holy Bible, were trying to pass on to future generations the true nature and meaning of this text. With the ubiquity of this symbol adorning bibles, Masonic halls and the entrances to many incorporated towns throughout the known world, the Freemasons were trying to reveal to humanity the deeply symbolic and allegorical nature of the Bible. With but a simple symbol, the Masons were emblazoning the legend and key to deconstruct the English Alphabet upon the consciousness of humanity so that the arcane occult wisdom hidden within the riddles and fables of this ancient text would not be lost. It is this mystical base of knowledge, a system of timeless wisdom, anchored in the esoteric study of mathematics and language that allows one to understand the human condition and man’s relationship to the divine. This knowledge throughout history has been consistently usurped by evil and nefarious groups, organizations and control factions who have every intention of burying our history, rewriting the past so future generations would not have access to it, suppressing the general populace and creating an obedient, subservient and unenlightened subclass, and erecting the pyramid of power in which they would find their seat upon its apex. Knowledge is power and there is no greater power than the power that man may himself harness when he understands the divine within. Before we move on to look at the mathematics of the Holy Bible, the first thing we wish to do is deconstruct the words themselves to elucidate the symbolic and esoteric nature of what the title of the book is trying to reveal to us. The word holy means “sacred and divine” and is phonetically identical to the word wholly. In sacred geometrical canon, heaven was associated with the circle and earth the square. As we have established in previous volumes, the circle encapsulates the most amount of space within its innate geometry. Wholly is defined as “the all or entirety of” and since wholly and holy are phonetically identical, and the circle, enveloping the most amount of space is associated with heaven, we may assign the concept of holiness a numerical distinction with that being the 360 degrees of a circle. Nothing is more wholly or holy than the heavenly, all-encompassing circle. The prefix BI in Bible means “two” and the syllable EL is a phonetic sound for God in such languages as Syriac, Akkadian, Aramaic, Latin and Hebrew. With so many languages sharing this phonetic sound for God, we must assume that the English language is no different. The word Bible stems from the Greek word biblios which means “book.” We also find that biblios has a root in the Latin word liber and these two words are where we get terms such as the English library and the French Bibliotheque. If the Holy Bible was translated into the English from the original Greek, and the English word for book is “book,” why did King James and his 72 translators / scribes, not deem this sacred text simply Holy Book? It is posing questions like these that allow us to penetrate the deep-seated spiritual message that lay beneath this text. According to our linguistic and etymological breakdown we can decipher that the term Holy Bible is giving us some symbolic attributes and clues to work with: Holy, being the 360 degrees of a circle and Bible giving us “two gods,” or BI EL. Since holiness is, at its heart, speaking of unification and completeness, let us go searching for these two unified gods and what better place to start than with the human being who is able to read such a text. The first thing that we can see is that, using the English cipher, we find that Holy Bible sums to 28, which is, as we have explored time and time again, the number of phalanges that we have on our two hands. The word Holy has a numeric value of 12 and the word Bible has a numeric value of 16. Fastening our attention and focus on these two numbers, we may find a direct relationship to the importance of pi and this most venerable of ancient texts. The numbers between 12 and 16 are 13, 14 and 15 and with these numbers we may establish the first 5 digits of our holy pi. By simply dropping the 1 in 13 and adding a decimal place after the 3, we find 3.1415. Adding together these three digits between Holyand Bible also yields us the number 42 (13 + 14 + 15 = 42). With 42 being the number of principles of the Egyptian Ma’at as well as the number in which God created the universe in within Kabbalistic tradition, we have come to understand the importance of this most esteemed number. Since the word Holy is recognized symbolically as heaven and geometrically as a circle, and we know pi as the ratio of a circle’s circumference to its diameter, this understanding presents us with the geometric symbol to find the two gods in the word Bible. Notice that when we draw a line (or the diameter) down the center of the circle, creating the geometry of pi, this gives us a mirror opposite of each side of the circle being a total of 180 degrees. As we have explored throughout this blog series, finding the gematria equivalents of the words one, two, three, four, five, six, seven, eight, nine and ten, recognized by the ten fingers of our two hands, sums to 180. With the words Holy Bible summing to 28 this numerical distinction affords us further clues to help us locate the two gods being alluding to in the ingenious and very precise phrasing of the title of this ancient text. 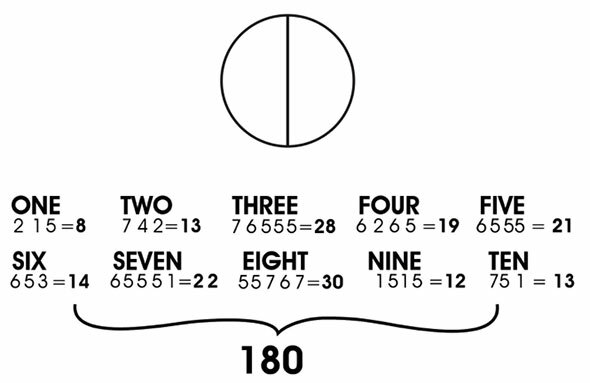 With the geometry of pi creating two 180 degree semi-circles, we may equate this 180 degrees to the number 180 found on the gematria values of our ten fingers. When two people bring their hands together in the act of love, communion, appreciation, affection, respect and adoration, what is thus created is the Holy Bible, or the holiness of the all-embracing love found within the 360 degrees of the heavenly circle. The two gods whose hands are united in this most sacred of unions create the enveloping and encircling force of the love of God. Notice that the numerical equivalent of Holy Bible sums to 28, yet if it is two sets of hands that create the sacredness of the holiness of god, where can we find the other set of hands within the title of the text? Accordingly, if we are to allow the mathematics to be our guide, we should find the number 56, accounting for the 28 phalanges of one set of hands and 28 for the other. Like any good mystic or alchemist knows, one only needs to merely dig a little bit deeper to find one’s answer. The numerical value of the words twenty-eight sums to 56, giving us the two sets of hands needed to find the holiness of the love of god. The number 56 hidden within the words twenty-eight is not just a reference to the physical and emotional love that two people share with one another, but also to the internal love that the human being must experience and have for himself. The two gods found within the word Bible is observed in the marrying of opposites found within the legendary alchemical marriage as well as in the recognition of Jesus Christ being the bridegroom. John 3:29 – He that hath the bride is the bridegroom: but the friend of the bridegroom, which standeth and heareth him, rejoiceth greatly because of the bridegroom’s voice: this my joy therefore is fulfilled. The bride and groom, or man and woman, merged into one unified being, referred to cryptically within the Holy Bible, and the alchemical marriage, found within the tradition of alchemy, are direct symbolic references to the electromagnetic energy that animates and enlivens the human vessel. This energy, often simply deemed the soul, is created with a polarity and this polarity is understood on the most obvious level physically as man and woman. 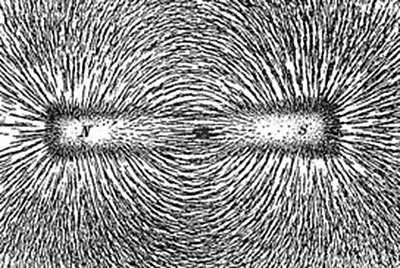 A household magnet perfectly displays the attributes of this force with the single magnet unifying the dual positive and negative, or north and south poles of this energy. Placing iron fillings around a magnet allows one to view the normally invisible electromagnetic spectrum surrounding it. This spectrum of energy is what has been long deemed in spiritual literature as the human aura. Though many modern materialist and scientific rationalists see such ideas as mystical nonsense, it is very easy to see the scientific reality of such when we probe and investigate the true meaning of the claim being made. It is most pertinent to note here that the seven-branded candelabra, most notably known from Jewish iconography as the Jewish Menorah, the very same symbol we used to deconstruct the mathematical structure of the English Alphabet, is symbolizing this energy. With but a little creativity, we can easily deduce that the Menorah is a merely a variation of the phrase MAN AURA. As a thermodynamic vehicle housing this electromagnetic soul or energy, man’s spiritual life is directly related to understanding, harnessing and controlling this internal force. The goal of spiritual work is to merge these two polarities by intimately knowing all aspects, both male and female, of one’s internal life. By letting both the masculine and feminine facets of one’s energy come to full fruition, this makes way for the wholeness of one’s true self to manifest and allows a doorway and channel for the creative force within creation, whose quintessential essence is that of wholeness, to come bounding out and illuminate the human being. The outer makeup of the human being is divided, mirrored or symmetrical, with nearly all aspects of man’s physical self a reflection of itself, and this added physical evidence of this energy’s dual properties reminds us of the reconciled polarities at work within creation. The front and back cover of the Holy Bible, which one picks up and opens with one’s two symmetrical hands, is symbolic of the two aspects of this energy, left and right, or positive and negative, at work within the human temple. The binding, or unifying part of the book is the spine, with the human spine being the central focus of spiritual work and the location of the seven chakras, most notably prevalent within the tradition of Hinduism. By merging the divided aspects of oneself allows the energy within to rise up, energize and enlighten the human being. Adding the digits 1 through 7 equals 28 (1 + 2 + 3 + 4 + 5 + 6 + 7 = 28), which is, once again, the numerical equivalent of Holy Bible. 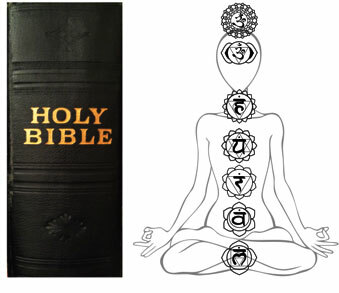 The seven chakras, or energy points, nestled along the spinal column of the human being, and the title of the text, Holy Bible, written on the spine of the book, are both alluding to the very same spiritual process – the merging of the opposites within the self and the raising up of this energy through one’s central pillar, or spinal column by reading, studying, understanding and coming to know the message written within. The number 28 points to a magnificent, beautiful and undeniable truth: the sacredness and divinity of the creator’s love is found mathematicallyon your two hands. It is and always has been right in front of you the entire time. One needs to look no further than the two extremities that the Great Creator has given us to recognize this unalterable and sacrosanct truth. You are the Holy Bible. You are the written word of God. Let us be reasonable. What other grand truth and profound veracity would you assume that an ancient, sacred mystical text is trying to pass on to you except the knowledge of the sacredness and divinity of one’s self? Stay tuned readers for more chapters from my upcoming book and please visit www.martyleeds33.com for more info, videos, interviews, podcasts, music and all things related to pi! The sacred name of God is Y-H-V-H not with a W. It is encoded in Hebrew in The book of Esther. Jehovah= Yehovah, no letter with our “J” sound in the Hebrew alphabet ,sounds like Y. You are deluded SH – we are not friends – you and Brenda have BRUTALIZED ME – you are dead to me – you know nothing. I have insisted that you and your evil BB must SHUT-UP and let others speak – this is supposed to be a forum for intelligent thought – YOU LIKE HER HAVE STOPPED LEARNING AND ONLY SPEAK. We have 2 ears and a mouth to listen more than we speak – you and her do not – you do not listen; you do not learn…she admitted she learns from no one but God, ‘inspired by nothing’ and is through learning – then what are you doing on this fine site? Not learning, not taking from writers – instead this is your pulpit…both of you. Shame. You 2 have scared others off – why should anyone comment when they are blasted by you and Amy Semple McPherson? – STOP! but you can’t – this is your addictive drug. Why can’t others speak up and run these zealots from the 19th Century off this site? I’ve asked over and over – respect my wishes and just don’t respond – these arrogant Children WILL always respond because they have minds of simple children and are not here on W-M to learn a thing – they are here to ruin it; spew garbage and stupidity to others, all good people who wonder about the universe and ask questions. But they know it all thru God and are letting us have it. The truth is THEY USE GOD as an unspoken Excuse to not learn – why learn? They know it all. But they’ll never stop – disrespectfully – habitual – addicts who only further their own ignorance – can someone else speak up and give it to them? You know why no one will? They’ve all been scared away. The legal aspects of justice from citizens of a nation. thanks for saying you’d like to see Mr. Yurchey again – but my name is Tray Caladan now and maybe I will come back. Strange that I quick scan W-M, 1st time in many months and see my name – was I mentioned earlier? didn’t see – I’ve been busy writing novels and getting published; what have you been doing outside of misunderstanding the truth? Only mischief I see. It is sacrilege for 2 people to dominate the postings over and over again and again without a shred of enlightenment as if only their view is right and damn everyone else. Shut Up! But that doesn’t work – SH and Brenda only get louder – they INSIST too much and no one else gets a platform to speak. When I do come back, with Science and free thought – open as tomorrow…there will be a condition: SH and little Brenda will be BANNED from any of my articles! Fire and Brimstone upon them and that would be JUSTICE and a very good thing, indeed. 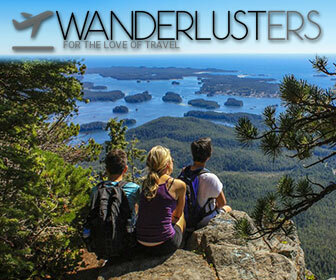 World-Mysteries should be a place of free-thinking NEW and different people, meeting and using the forum – but I see it is the same old people who use this site as their very own personal PULPIT. Do you know a religion who have a God that stand with his people by teaching them or prophetize? Do you know a God who will live with his people? Do you know a Book that reveal who is this God of ours? Do you know that there is no other Book then the Bible to forcast event in advance without errors? There is No OTHER BOOK that was permitted to reveal the Truth, ALL the other book are useless, and there is no advantage to read them, even the Coran is not like the Bible, and God know’s that the Coran speak about the Bible many time. Why? Because the Bible is the only Book that was writin for us to know the Truth and most important, to know the ONLY GOD. They have said that Judaism have been the fondation of Christianity, this is NOT TRUE, there is no Judaism, there is no Christianity. Those are religion made by men, they were not establish at the first place, only the Truth was. Now we have over 400 religious denominations all over the World that come from Christianity, ALL are man made. That’s why I have no religion, MY religion is the TRUTH and only the TRUTH, that’s why I read the Bible, specialy Revelation in wich I have found many secrets. And from the Bible, I will reveal many secrets that will comfort you and please you well for their greatness. What does exist, but don’t in reallity? An Illusion!!!!! This is what our life is fill with. But wait!!!! Fewww!!!! We are save, we have the Bible. There is no Other God then the God Of Israël, and there is no other Book that the Bible where we can find the Real God of All Things. Buddha is very popular even where I live, but what is the “Middle” if you beat your wife because she’s picking on you? Don’t beat her less, don’t beat her more, but beat her in between. I’m sure that this is not what it ment, but what is the Middle. For Buddha, that’s mean not to eat less, not eat more, but eat reasonnably. Don’ cook your spaghetti les or more, but just in between. Don’t smoke cigarettes less or more, but in between. I’m sure you can figure the rest. Buddha have said, and I’m not joking like I did: “The rice to be consumable by human, he must be a pure white when cook”. I know that the Bible talk about foods, but there is a difference in saying “be in the Middle” in opposition to: “love your brother like yourself”, the first adage is foggy, but nor the second, this adage cite clearly what we should do. In the Bible there is no religion that exist, even in the time of the Christ, Pharisians and Sadducian did not mention a particuliar religion to obey to, the Scriptures was there, but they have done errors like many have done. They didn’t knew what was the reality that stand in front of God. Today, history repeat itself, we have a wide range of denomination only in Christianity, what it is for? This is not for our taste, this is because they don’t believe what other believe, so we assist in their decomposition, why? Because they don’t carry the TRUTH, they don’t even know what is the Truth. I could continue like this making more and more have the Power to convince, to convert, to Sustain our weak spirit, to nourrish this last, to create a good will that help us like others. Helping someone is not a question of money, be charitable, give me 20$, I don’t have enough foods for my children and we. This is not helping someone, this is feeding him and family for a day, give him a job, that is the need. Jesus have said that ONLY GOD was GOOD. So the LOGIC said that if God is Good, HE will never do us wrong. But why we have a “lake of Fire” in the Bible. Jesus have said Himself that those who will be punish will go in that lake of fire. NO WAY, this is an Illusion too, it’s not your Entire YOU who will go in the lake of fire, but only your bad part. When an apple is partly brownish, you don’t trow the entire apple, you separate the bad part from the Good part. 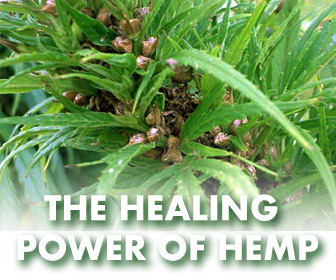 Jesus have said that HE will separate the weeds from the good GRAIN. Remember one thing, we are those earths in facts, and good and bad grow side by side. But this was not what we have LEARN from many PREACHERS. They have Fall in the ILLUSION. If you can realise that, YOU will LOVE GOD DEEPLY, an this will count for JUSTICE by GOD, and this JUSTICE will be a better TESTEMONY then the FAITH of Abraham, you can bet on this. So BE good children, and SEE what your EYES didn’t see, EAR what your EARS didn’t HEARD, be calm don’t fear anymore God, only if you do bad things to others. I have forgot to comment on the Sages that the World knew since. Claudia Pavonis have cited Buddha: Not go to the left, neither the right, but go in the Middle. This is so profound that it is bottomless, and it doesn’t retain nothing, like a glass that as no bottom doesn’t retain water. In Politic I have the same problem, we have the Right and the Left, and they do all mistakes, you begin eating your egg at the botton or the top, one or another is good if you eat it, but in the film Gulliver this was a subject to make war, are we doing the same error? Their is no good Party or bad Party, there is man of good will who they the best that they can for the benefit of the population, you have a budget and you try to do what will be the most benefit to all, you cannot do better. This is not the same for Sacred Book, they are Book that have the apparency of the Best, but in reality they are weak an are full of illusions. Buddha are one of it, if we were all like Buddha we would be unhappy, this is not the goal of the Real God in the Bible. The Real God want us to be very Happy, full of Joy, HE want us to have the Best, but we have to learn to make it happen. This is not a heavy price to pay, for the minimum that we could do, we have the maximum that we can get. I think that this is the most valuble arrangement that we could find on this Earth, no Sages or special Man could do this for you, search real good, you wont find any that give so much for less, I defy you to bring forth such a God. Buddha and the Oracle of Delphi, are not even close to Wisdom, far that is from it. I have found a Real Treasure, what would you do if you could found a Treasure? I’m sure you’de be very happy, and that you would share this Treasure with everyone that you love. Am I right? So THIS IS WHAT I’M DOING RIGHT IN FRONT OF YOUR EYES, so don’t get upset on anything because I have enter in the Court/Yard of God. Have you notice all off you that I dont say “God Bless”, I’m sure that you don’t know why. The Blessing was said by me, now this Blessing will come by me for you, this is logic too, “the one who have planted his the one who will harvest”. Am I a Teacher? Am I a Prophet? Am I a Doctor? Am I a Science Man? I really DON’T KNOW. I’m Starheater, and I’m a little of all this like you are, and I’m nothing of that to those that don’t believe what I have said, don’t mixed up!!! “What I have said, not what I am. Remember, the Entire Universe is fill with “Illusions”. I have a question for you: Why the numbers that are dispose on the fingers begin with the little finger of the hand and in the same question, why the number are not beginning with the right hand to continue on the left hand without repeating the same number? The entire Grid that you have made or found is very intersting to know about. But the problem with that kind of knowledge, is that ounce said, there is practicaly nothing that we could use in question of human relationship, religion or simply an open mind. As for this last, we could have our mind open in a certain way, but not the way that could help the humanity to learn peace and fraternity with one to each others. This is what we could call, “Neutral Science”, but this science doesn’t blow light like the truth. But it as the quality to be interresting. I have to bow, manner of speaking in face of the tremendous work you have accomplish. Engl-ish, and this word is more close to: Angl-ish, this would be the correct way to write it. We all now that Angl is for the word “Angle”, and I know that this refer to their hability to realize different type of constructions. So the Anglish (this is not an error of typing) are the closes language to the Hebrew, and this is normal, because is conterpart, the French language have erase their roots for their own root in language speaking, and this is due to the rebel character. They have refuse to be associated with the 12 Tribes of Israël, who their were the First Born being the Tribe of Ruben. For as the English, they are the Tribe of Joseph who’s legacy was found in is 2 Sons: Manasse and Ephraïm. The youngest, Ephraïm have became the English people with is brother Manasse. Ephraïm have became England, and Manasse the United States. And just like the prophety have predicted, the Sun was shinning on their conquest, and this all over the entire world. This have been never done by another Nation in the entire world, only they have accomplish this task, if I call it this way. THe word for “Man” and “Woman” have root, and no other languages, except those 3 that I have name have root for this word that is logic, all others language have a different term/word for Man and Woman, this is not an hazard. If Ruben is consided by the Bible to be the First Born, the Tribe of Joseph is consided to be the nearly the Last, the Tribe of Benjamin was the Last. Now, in the Book of Revelation the Tribe of Dan doesn’t exist anymore and it is replace by the Tribe of “Manasse”, and for the brother of Manasse, who is Ephraïm, is name is change to “Joseph”, making the youngest the oldest in place of the Oldest the real Oldest. In Revelation, the order of importance is “refresh”/renew if you like, the First is “Juda”, he is the Leader of all is 12 Brothers, and Manasse is in 6th position and the Tribe of Joseph in 11th position. Now, this “list” could be dualistic in is action, meaning that it could be both physical, in that case subject to the position of Israël (the Tribe of Juda = Jews), or it could be the Final classifications of “spirituel” Tribe. But this last idea have very poor chance to be true, so I think this is only physical, and nothing else. In Heaven, races will not exist. Now, to return to your work Marty, what I would like you to know is that even your work is good, it could be only in English, and this would mean that this “computation” of letters/numbers could only be an exception for a special kind of initiates, and by this fact, it could have only a little effect on the mass due to is reality, because in the Bible there are many thing that are more “pratical’ to know about. So, what could I say to you Marty, I have know idea at this moment. But those fact are interesting. A língua mais antiga do mundo é o Sânscrito. The holy bible is a very wast thing where you can get help for every problem understand many things about the life creatures etc, when you read bible you came to know some thing about some thing form this book you can get every kind of knowledge and much more. In this technological life where the internet is an essential need of the person we can read the bible online as well. thanks for sharing this information its very appreciable.God bless you. You are on the right path to have eternel life. If seeing is believing, well I could say that if you see the reality of God, have no fear, God will ask to is angel to assist you when you fall, you will have the Consolator that God give to those who believe in HIM. To my eyes, it’s rare to see a beautifull Lady interrested in God, the Holy Bible and mysteries. So, because of state of mind, I will make you some GIFTS that I have prepare specially for you, and you alone, so that the gratitude and love from God could flow in your direction by me. Habitually, woman in your position have a social life that is always in expansion, so, they don’t have the time for those questions concerning religions and mysteries. So that’s why I have decide to unveil some mysteries just for you to know (naturelly all the readers will benefit too of that mystery). The First mystery that I will unveil is about “woman”, this will be a good start for you to know your position in the Family of God. You already know that woman came from Adam, God took a rib from man and form a woman with it. But What we don’t know we Human is the “principle” that say that you cannot obtain a different element from an element, exemple: you cannot an apple from a banana, but you can obtain apple sauce, in this case the primary element stay’s basic, it only change of texture, or condition if you like. The same thing happen to water, with this last you can obtain, “vapor”, ice or even fire if you separate Hydrogen from Oxigen (those 2 produce fire when they are in presence of flame), but you can’t surely not obtain “earth”. That’s why, in certain Bible woman and man are call “Man”, why? Because you cannot obtain a different creature from man, and like the apple sauce we are in prensence of a “different” state or condition, so you are a “man” with a distinction: wo-man. A man created to have childrens. You can take this unveil mystery like the “serious part”, now let’s see the “fun part”. To make a little synthesis, we have 3 Pyramids with a Sphinx, this is not an hazard, 2 of the Pyramids are complete and 1 the top is missing, and this too is not an hazard. As for the Sphinx, his body is one a of Lion, his head is human like. There a special characteristic for the head of the Sphinx, first it is flat on the top and triangular in is apparence, this is also not an hazard. In the beginning the head of the Sphinx was Lion like, this was the first monument that was constructed for the King of Heaven (Lion = Christ), it was announcing in what Tribe the King would born in. It was also writin’ in the Stars of the Sky, by the God Almighty. The progress of those peoples was so fast because of their unity and collaboration that the entire world when up rapidly in discoveries in all sorts of Sciences. So they decided with the approval of all Nations to Warn and Instruct the future generations. Those men new that the future generations would need their testemony in the Name of the True God, they also have construct the Pyramids of Giza in Honnor to the God Almighty. The Pyramids was contruct for those 2 reasons, also a Pillar (like the one in Washington) was erected near the Pyramids. Ounce the Pyramids constructed, they have modified the head of the Sphinx in concordance with the Prophety that they have inscribe in the Great Pyramid. In that Pyramid was inscribe all the major Events of the Plan of God for the Humanity, that’s why I call Kheops the Pyramid of Humanity/Earth, and those major “happenning” are those that the world don’t want to believe, like the Flood, the birth of the Christ, is death, the Fisrt world War, the Second World War, after that, there is no reference inscribe. This is the reason for me to said on this site that there will be no World War 3. The Pyramid of Kheops is like the Bible, they say the same things. but in a different way. The Pyramid of Kheops expose those events scientificly, the Bible expose the future events in Propheties. Now for the Science of Astrology, you all know that Jacob had 12 Sons, this is an “analogy” for the 12 Signs of the Zodiac. 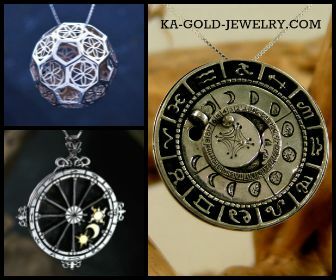 In the time of the Christ, many good Astrologist was found in different Province and Country had is own Astrologist, they were call “Mages”, this word is the basic for the word “image”, I think that this was because they have lay the Stars on a parchemin to study the secret meaning of the Stars. This Science of the Stars was teach in every part of the whole world, they were no Country that didn’t have is Mages. It’s because of that Science that 3 Mages knew where to go to see the Christ new born, I think I don’t have to explain this story, I’m sure you know it well. In Astrology, the sign of the Lion is in face of Aquarious, now if we make a cross, the others signs will be Taurus and Scorpio, this last have been change because of is bad reputation of killer, he as been replace by the “Eagle”, this way the noble character of the Eagle fit well the Four Animals (Beast) of the Revelation. Those 4 Beasts are a “reflection” of many Principals, they are the 4 elements that we’ve got on this Earth: Fire–Earth–Air–Water (they are not line in order). The 4 Beasts are separated by the Night and the Dawn/Morning, the Lion is the: Evening, Taurus is : Night, The Face of a Man is: Morning, and the Eagle is: Afternoon. I will stop it here, because it would take many sessions to explain all the detail of the chap 4 of Revelation, only 11 verses of Scriptures, but alot of informations that could fill a little book. I have said lately that the Great Illusion was the Bible, or if you prefer, it was wroted in the Bible. This is for those who believe that God is just a little boy, that He cannot control and protect His Peoples. We are all human, and we have this tendency for our brothers like us, we underestimate their capacity, this is more then true with God, because we don’t know Him like we do with our parents or old friends. In the Bible many controversies exist, this is because Illusion take the place. Exemple: the Christ have said not to worry about our life for nourishement, cloths ect… He also had the “fact” that God knew if one of our hair was falling on the ground, He also said that this could not happen without His permission. THIS IS TRUE AND IT IS NOT AN ILLUSION. This said, we conclude that we are not responsible of nothing on Earth, and when I say nothing, I mean NOTHING. To renforce this fact, God have said that it was Him who have hardened the Heart of Pharaoh so he could follow Moses in the Sea. If Pharaoh was a “puppet” for God, why condemne us to the worse punishment, “the lake of fire”, this would be an injustice. Now, How come the gospel mean “Good News”, what is the good news if we go to hell, do you see more clearly now? Their are many Illusions like this, we’ve got to find them. One thing that we can TRUST, is that God want us to have the Best, and the Best IS the GOOD NEWS, do you follow me Everyone. Like I was saying, the 4 Beasts represente the 4 Evangelists, the eyes in the back and forward are angels that help them in their Ministries. The wings are their “helpers” servants. Like I have said they represent the 12 Sons of Jacob, from those, 4 of them was important. So, in the Bible you have the same pattern, this one is replicated in Numbers 2:1-31, and Rev. 7:1-8. There is a similitude in those 2 passages, at one difference, the Tribe of Dan no longer exist. Why? Because the Tribe of Dan is the Dan-Mark (Danmark), or if you know; the German. This Tribe have been absorbe by the reste of the other Tribe. A Good sincere Welcome to Charles. Do you mean always what you say? To clearify this question, I doubt that Edgar Cayce is a good reference. I will tell you why. There is a diffence in Light and Darknest as you know, Edgar Cayce is in the middle. Now speaking of Darkness and Light, let me be the first to open your eyes. DARKNESS DOES NOT EXIST, ONLY LIGHT EXIST. In case you didn’t realize, I will tell you that all matter in the Universe project Light, all atoms project light, molecule too, but that doesn’t stop there. The atom of the atoms project light. 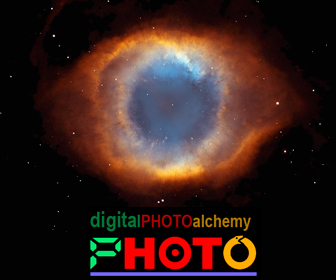 Your eyes sees only a little tiny portion of the spectra of light, this is scientific, not semi obscure light. Brenda, you need to know what I know of the Universe, not only you, but all of you, was I inspired? I don’t know, you tell me, but I will not be oblige to do so, what I tell you will speak themself. I’m very Proud of my Commandant (Christ), and this proudness is cause by the things that I know about the Bible and the Universe. The Truth carry more Power that we can need, my progress tend to go higher and higher and I don’t know where it end. What we call “space” is matter that are so thin that the Anciens have name it “ether”, this is realy matter, and this goes forever thinner and thinner, like while the Universe is larger and larger, it never stop. This I can prove it, as always, I carry proofs with me. The Maths are the proofs. What come after 1 is 2, and it goes forever, and what come before 1 is .9 and it goes forever, so rejoice because the reality that you see with your eyes is not as grand as the reality that you see with your spirit. Tell me now Brenda, will I be proud of my sister? or do I have to force you to think strait? You can be sure of one thing, I don’t have to force you, so don’t think that about me, I know that it was never intended that you would force me to believe you. So I will say it the last time again, you talk to an angel, you have never see Jesus in person, you couldn’t stand it (to powerfull). This is not a case of not respecting your opinions, this have nothing to do with opinion, but the TRUTH. IN the Bible it is writin that you MUST TEST the spirit to know if they come from God. And if you have test, naturally you have to know quite many things, you will be able to do so. I have test this Voice, and it didn’t pass the test, but me is not you, and I’m aware of this, you could have very good experience with the Voice, but this last have told me that was for my training. That’s why I wanted to tell me in detail your experience, I don’t want to hurt somehow, this you can be sure. Actually God does write books, and apparently lots of them. Scripture tells us of the Book of Life, and the Book of Remembrance, and people who’ve gone to Heaven (I know a few of them), have seen a huge library filled with books – some very ancient and some hot off the press. Not to mention that scripture also states that all scripture is given by inspiration of God. I don’t care whose fingers do the writing, if God is inspiring what’s being written, and in many cases actually telling people what to say, He’s the Author. Check out Edgar Cayce as well, who explained in one of his books how he went into his trances, and arrived in Heaven where a man would find the book associated with the person he was doing the reading for. When we speak of a written document where “some spiritual” intervention is obvious, we cannot think of God…. God does not “write books”, humans do. So the bible is a mere interpretation (in part written by someone & part ignorant humans) of spoken words by someone who is not “god but as human as we are” (read Esekiel, Daniel & Enoch). Their versions are as authentic as we may think of seeing what “they saw & described” in terms of human interpretation. On the other side, the difference is that it (the bible) was written with encoded information for us “not to discover or see” but for someone else to decipher. 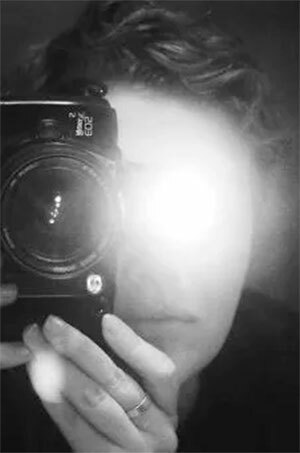 That, what we are doing at present time, is an inference of what the intention might have been, a message to “someone else” in the future, which we “cannot understand” for that someone to tell us, “AT THE RIGHT MOMENT OR TIME”, whoever it may be. Numbers will only be numbers mathematically. If they are written in a “secret code”, first we have to “know” the language to which this code belongs or comes from before we can attempt to dicipher something we do not understand, even if it is written in a language we understand, or even if mathematically the number gives analogies of mathematical interpretation. Then, surely it seems as a code. I would agree to what has been said before in one of these comments; it could be an “extraterrestrial message” to another extraterrestrial through a language we understand but a code we will not understand. A very smart, attenuantion. Your explanation is well wrap, but the truth is is sometime well wrap too, and the wraping could be hard to unwrap. So I will suggest to you, listen to what the LOGIC have to say. The logic say that if a code exist in the Bible, you wont be able to unwrap from it a prophety, why? Because you don’t know what to ask to unveil from this code of the Bible, because there is a computer program that exist to unveil the code, but the problem is related to person(s) that you don’t even know about the existence. So you will have to wait until the dammage as been done to found all the victems and all the persons that was imply in the scenario of whatever it is. But on the other hand, you may have some clue, and this as happen, but the person that was inform of his assasination didn’t believe that could have happen to this person, so this person have died. So, the result in fact is the same, you cannot change what God have decided to happen, but this doesn’t mean that God will always refuse the changing. Jonas have prophetizise the destruction of a certain town (I don’t remember by heart what was the name of this town), and this didn’t happen, why? Because they believe in the prophety that Jonas have tell them, result, they change their hearts and the prophtity didn’t accomplish, this have change the sentence of God to punish them. So what in the world would do to know the code of the Bible, nothing, nada. Why? Because we have already the Bible to refer and to know what will happen. What will be the utility to know the code, it will be only utile for the individual that is on the scene of the Nation of the World. But if they don’t believe in the Bible, how the code will stop what we want to avoid, you will have to convince the person that the Bible is the Book of Books, and then, you will have to convince this person that there a code in that Bible, you’ll might just forget it. You’re right. There is no male or female genitalia-wise, in Heaven, but since God made man “…in His image, male and female made He them…”, there is male and female nature. Strange how you contradict God—– you condemned yourself when you believe in homosexuality because in heaven where God dwells (a pure thought of immeasurable love in our hearts and minds) there is no male or female genitalia. Theres no such thing as homosexuality except what you have created in your own mind. You claim to know God in this blog and I know you don’t. I don’t put much weight on this kind of numeric interpretations. Especially when the case is about translated texts. – A minor change in wordings by the translator may turn the interpretation upside down. 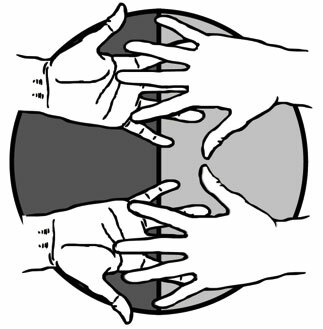 However, I think this kind of numeric play is useful. But in the ways we may not (yet) understand. E.g. Have you tried numeric interpretations to possible extraterrestial (heavenly) messages. That sounds like a neat idea! Did anyone just read the above article and understand what it said? Then you have broken the ‘cipher’-law of Claudia Pavonis, and in fact you really didn’t understand what you just read, you misunderstood it. According to Claudia, and apparently Marty, in order for us to ‘understand’ what the Bible – or anything really true, is all about, we shouldn’t be reading, we should be using our calculators and adding. And how did Claudia get her doctrine across to us all? By a math quiz? A mysterious column of numbers? No, she wrote it in plain English – or whatever language she wrote it in first. If using our ‘intellect’ is taking the light, refusing to accept it as it is, and trying to ‘decipher’ it by bending, twisting, and perverting it until it resembles something other than what it is, it’s perfectly understandable how we’re in the state we’re in. I’ll bet things really aren’t the way they appear, they’re really much better, and we’re all deceived into thinking they’re bad because we haven’t written the facts out and ‘deciphered’ what they all add up to. That makes about as much sense as that article up there, and the ‘great intellect’ of Claudia Pavonis. How do we all communicate, calculators in hand and lots of ‘critical thinking’, or by listening to others talk – with words? When our baby looks at us with wondering eyes and voices a few noncritical thought processes, do we reach for the nearest calculator or do we immediately speak WORDS? Trust the occult to insist that God, our Creator, doesn’t really mean what He says, but uses words so that we can render them down to numbers and add them all up. If ‘Bible’ really adds up to liberation and liberty, it’s because it’s as Jesus said to the Jews, “If you continue in my WORD, then are you my disciples indeed, and you will know the truth and the truth will make you free.” (John 8: 31 – 32) Take the word out of God and you’ve taken Jesus out of the ‘equation’, which means you won’t be finding truth any way you look at it. I totally believe in sacred numbers and geometry. I have no doubt that God has layers of truth in everything He does. But that doesn’t mean He doesn’t mean exactly what He says. The truth behind sacred numbers, in particular when applied to the sacred scriptures, is that when they’re applied and added up properly, they will confirm what God said, and expand on that truth, not deny and detract from it. Now that’s using your intellect. As for the age-old excuse that the Bible is a compilation of ancient writings that has undergone various translatings and interpretations, and therefore can’t be trusted, if we follow that ‘cipher’ to the end, we shouldn’t trust any ancient document because the more ancient they are, the more the language has changed and the more it’s been rewritten and translated. So why believe anything we read of history at that rate? And God knows, it can’t really mean what it says so why bother? Yet when it comes to the Bible – that jumbled up compilation of mistranslated, misunderstood writings, isn’t it funny that when its numbers – which work in conjunction with the WORDS it’s written in, are added up, they work perfectly. How is that possible if the words themselves are not to be trusted, and aren’t what the ‘original’ said? There is nothing cleaner and simpler than a straight line from one point to another, so I suggest the sooner we start not bending and perverting what scripture says, the sooner we’ll understand what God said about freedom, and how to get there. Just so everything is clear and I’m understanding your statement correctly when the bible says “god is responsible for all good and all evil”… Your position must be whether you’re a mass murderer or a saint you are doing gods work, yes? Or is that the one time the bible doesn’t actually mean what it clearly says? Or how about that time the bible clearly demands Jesus earned his beating and crucifixion… I mean if the Romans are crucifing thieves then Roman soldiers are going to beat and crucify someone who terrofies and whips innocent people for selling/buying things, right? And let us never forget a real dragon must smite a third of the stars? Or are you behaving just like Mr. Leeds? The bible only means what it says/adds up to those things that fit your/his agenda? Just so I’m clear? No ‘Hello’? Well, let me be the first.. Since I’ve been back I haven’t seen you around, so it’s nice to ‘talk’ to you again. Now on to those good questions. It’s in a paragraph where God is making plain that He’s the only God there is, so for sure, He is responsible for all there is. The answer to your question is in how it’s written – I form light and create darkness..make peace and create evil..’. The best way I can explain it is to say that by God forming light, He automatically made darkness what it was, because anything that wasn’t light, was darkness. And likewise by showing what peace is, He ‘creates’ what is discordant. It’s exactly the same thing Paul was stating in Romans 7:9 – “For I was alive without the law once, but when the commandment came, sin revived, and I died.” When people are in ignorance or have no standard by which to compare anything, it’s easy to cross boundaries whose borders aren’t apparent, but the minute you’ve got a standard to compare something to, that’s when all the defects, errors, and ‘evil’ as it were, are made plain. If God had said it in reverse, creating darkness and then light, we’d have a problem for sure, but because it’s worded as it is, we have the answer. Regarding Jesus ‘earning’ His beating and crucifixion, let me first say that it was God’s will that He go through this ordeal – not for His own sake, but as is stated, “He was wounded for our transgressions…bruised for our iniquities…and the chastisement of OUR peace was upon Him”. If Jesus had not become the sin offering He was, we wouldn’t have a hope of ever living in Heaven or having peace with God. But about those Romans thrashing the thieves and errant of their society – it was the leaders of the synagogue who devised the plan to accuse Jesus of being a political rebel, not the Romans themselves who sought Him out as their enemy. The religious hierarchy instigated the crowd’s demand for His crucifixion, and as we all know, Pilot wanted nothing to do with putting Him to death. But as for those ‘innocent buyers and sellers’, Jesus told them that His Father’s House was to be a house of prayer, but they had made it a den of thieves. I won’t go into the symbolic meaning behind the doves being bought and sold here, I’ll stick to the literal, but anyone knows who pokes their head into the religious institutions of this day, that there is as much corruption in the church with all the buying and selling of merchandise, as there is outside of it. So I have no doubt whatsoever that when Jesus stated they had changed the purpose of God’s house from one of respect, honesty, and genuine care that people’s needs were being dealt with, to one of greed, selfishness, and deceit, that it was indeed the case. Only once was such an action recorded in the Bible, which in itself tells us there was more to it than what met the eye, since He could have done it 100 times over and never did. But even taken literally, the reason for it was that people were flaunting their selfishness, deceit, and demoralization in God’s face. (Just to let you know, I had a vision on that incident some time ago, and if you’re interested, can tell you what Jesus’ actions symbolized at the time.) And just to get the perspective on that incident, Jesus did not just flail out at the people, He overturned the tables of the moneychangers (we know how exchangers love to get their money’s worth), let the doves go free, and healed the sick that were standing by in the temple. In other words, He demonstrated what the Temple should be used for, and the judgment that was coming on those who were purposely and willingly distorting and perverting it. Lastly, about that dragon and 1/3 of the stars falling – and being cast to earth no less. For this, there’s no doubt you are referring to Revelation – a book built on symbolism, and therefore we shouldn’t be taking everything in it literally. In fact, the exact scripture you’re referring to is a vision John sees – a ‘wonder in Heaven….a great red dragon, having 7 heads and 10 horns, and 7 crowns on his heads.’ Any dream or vision is often given using symbolic language, and this one is clearly symbolic, as is the action this dragon takes, for there is no literal ‘red dragon’ with 7 heads, 10 horns, and 7 crowns on his head. Stars in Revelation, are symbolic for angels, (Rev. 1:20) signifying that when Satan is cast out of the heavenlies as he will be in this day, 1/3 of the angels – those that he took with him when he originally fell, will also be cast out, and yes, they will be cast into the earth as Revelation 12 goes on to say in verse 12. I believe I have addressed all the issues, but I have no doubt you will let me know if I didn’t. Have a good day Charles. Talk soon. PS. By the way, I think you wrote an article earlier this year, I wasn’t here when it was written but I think it was on numbers. I will look back at it, because at first glance it sounded very interesting to me. I have to correct myself – I don’t know how I missed it but I didn’t see your ‘Hello Brenda’, I just saw your name and what you wrote. So please accept my apology for my first remark ‘What, no hello?’, because you did give a hello. Sorry about that! It’s good to see, manner of speaking, on this site and I hope that we will see Mr. Yurchey too. Brenda, You, Doug Yurchey, Ron O. Cook, well if we could be all reunited, this could be real interesting to debate even if I’m “crucify” by Doug sometime, that doesn’t bother me, because I know this man, and I know he’s a good man too, like all of us. Yes, Brenda is right, BUT, only half of it, the reason behind my statement is the FACT that is are WE who decide what action we do, or going to do, this is the reasoning for the individuality. But it’s not the truth when it’s question about Nations, God control the Nations. But there is a point YOU MUST really understand, this God is NOT the GOD ALMIGHTY. HIS part of ELOHIM (2 persons in ONE, John 1:1-3). Charles, I will do my best to explain to you the REALITY OF GOD, what He is, and what He is not. The God of this Earth is Elohim, this is and association of the ANGEL OF GOD with the CHRIST, I know that this may be really hard to believe, but this is only my view, and to be honest with you, I have to verified it according to the Bible, but, this VIEW of GOD is ready to be serve on the table, why? Because it doesn’t interact negatively with the Bible in general. So I’m sure about 95% of this FACT. The REAL GOD, what I call the GOD ALMIGHTY is more then that, HE’s what I use to call the GOD “MORE-THEN-PERFECT”. Why that I have to call him more-then-perfect? Because the word for our to comprehend does not exist in “human language”, so this is a “notion” to be understand without speach. “THE EARTH FEAR TIME, BUT TIME FEAR THE PYRAMIDS”. Why? Because it expose what/who is GOD. It would be normal for me if you refute this fact. But you can be sure that I will do my best in English (because I’m French) to make you understand, even if it is slightly, this “notion”. And speaking about notions, there are many notions in the Bible, the only thing is that they repulse themself. Why? Because we didn’t place them at the right place, because those place are on the vertical line, not the horizontal line. Our reasoning is on the horizontal line most of the time, but we are capable of reasoning on the vertical line, this is just a question of LOGIC. THe God Almighty is on the Vertical Line, that’s why HE don’t fear Time, He make time happen on the horizontal Line. And this is the CROSS, a Vertical Line and a Horizontal Line. You don’t even imagine how GOd is Intelligent, I’m speachless when I see with my “spirit eyes” how Grand, Immense, etc…there are No word that exist to explain how GOD is GRAND except, INFINITE (without end). And I’m sure at 100% that I’m telling you the TRUTH. What I’m telling you know is Just the BEGINNING of the TRUTH that I would like to expose on this site, and this is for all of you my friends, this include all of those who believe that God exist and that the Christ is OUR SAVIOR. Lots of trouble for something that is inherently known within our soul. I don’t think that we could know about the Bible Fully by our soul. But if the Bible would not exist, you could be sure that in our “spirit” (not our soul) their would be some real indication of what it’s all about, or if you prefer; the re-invention of the Bible. I don’t have the good word for it, but I’m sure intelligent like you are, you will do the difference.